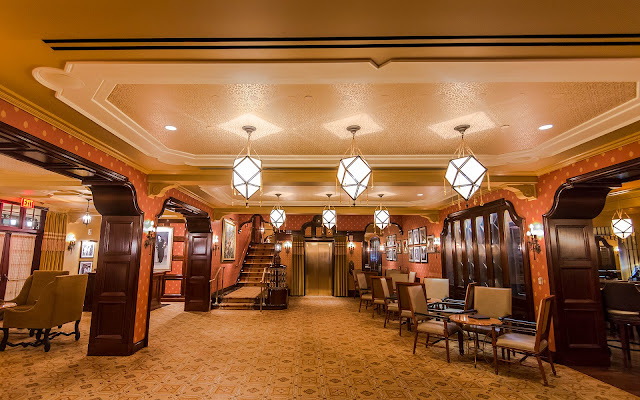 The Carthay Circle Restaurant and Lounge represent swanky, elegant 1920s style, and it's nice to tour the ornate touches in both dining establishments. 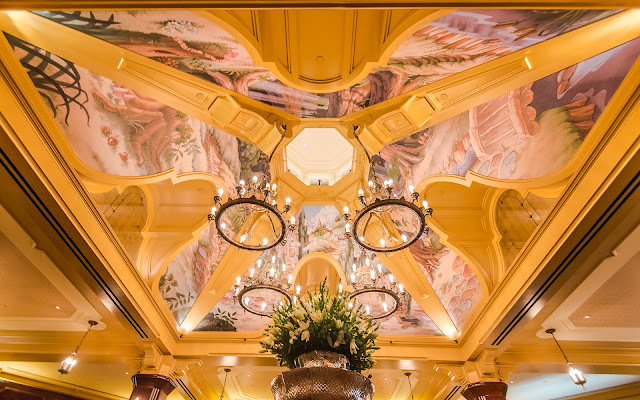 From lovely light fixtures to luxurious wood trim to the overall warm tones throughout the spaces, this pinnacle of Disney California Adventure dining provides a rich and lavish experience. Here are a few photos taken at the end of the night, upstairs and downstairs. A look at the Snow White mural on the ceiling of the main dining room at the Carthay Circle Restaurant. Retreating out the entry hallway. 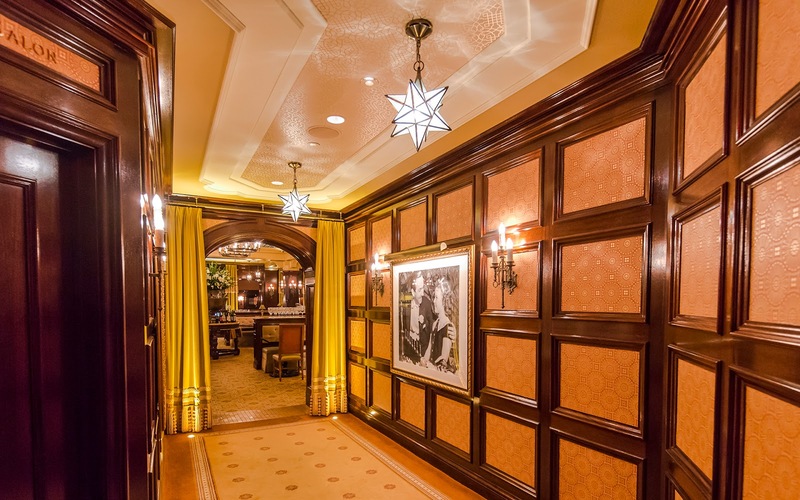 The famous photo of Walt Disney and Shirley Temple hangs on the wall. Downstairs, the Carthay Circle Lounge is at peace after a busy day. 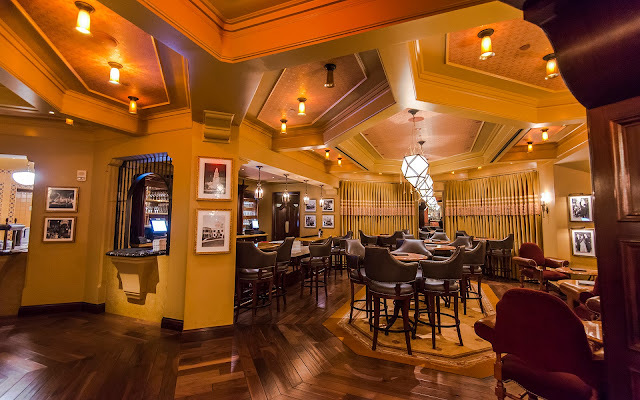 This is a rare sight, since the Lounge is usually bustling!